At Cell Phone City, our cell phone repair center can repair your iPhone 7 in our store. We use top quality parts and can special order parts if needed. If you need help with your iPhone 7 give us a call. We will give you the details you need to get your iPhone repair finished today. For pricing on iPhone 7 repairs, please call us at (260) 755-2016 or fill out the form below to receive a quote by email. You love your iPhone 7; it’s a great phone! 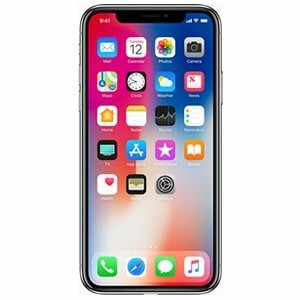 You’ve spent a lot of money already on your phone; you may not have opted in for the Apple Care or extended warranty from your cellular company. That’s okay, but what if you accidentally crack the screen or drop it in the lake? What do you do if your iPhone 7 needs a repair and you don’t have a warranty? Even if you did invest in the warranty, not all of them fix a cracked screen for free (read the fine print). We don’t think you need to have a warranty on your phone necessarily, but if you do need a repair, it might be a good option. But for all of those who don’t have a warranty, is it expensive to fix the iPhone 7? It depends. Costs can vary depending on some factors. You cannot determine on your own what is wrong with your iPhone 7. The damage may appear only to be a cracked screen, but it can go much further than that. You will need a diagnostic look at your iPhone 7 before you can determine what is wrong with it. Don’t try to diagnose a cracked screen yourself. Screen replacements are the number one reason people visit us at Cell Phone City. Yes, you can see your screen is cracked, but what if it’s more than that? Get only the iPhone 7 repair that you need, not anything else. Our expert technicians know your iPhone 7 and can diagnose the problem in as little as one hour. We offer comprehensive diagnostic services for your iPhone 7, so you can know exactly the extent of the damaged screen and get a fair, honest, reliable price quote. Did you know that if you don’t get repairs done properly, you may forfeit your warranty anyway? What if you thought – I can replace my iPhone 7 screen easily by myself and save contacting the warranty for a time when the damage is more extensive? This isn’t a good idea. You could easily void your warranty by trying to fix it yourself. This goes for hiring cheap, fly-by-night companies to fix your iPhone 7 as well. Warning – you get what you pay for! If you try to go cheap and get a cheaper screen fix, you will regret it! Our technicians have the tools and expertise to repair your iPhone 7, no matter the issue. Not only do we diagnose the issue at hand, but we’ll also give let you know exactly what is wrong with your iPhone 7, how we plan on repairing it, and the exact cost to you. We don’t go cheap on our parts either. We use high-quality parts, screens, designed especially for your device. Cell phone repair done right. The glass and LED of the iPhone 7 are not the same part – one can be damaged, or both can be damaged, and you might not realize which one needs repair. 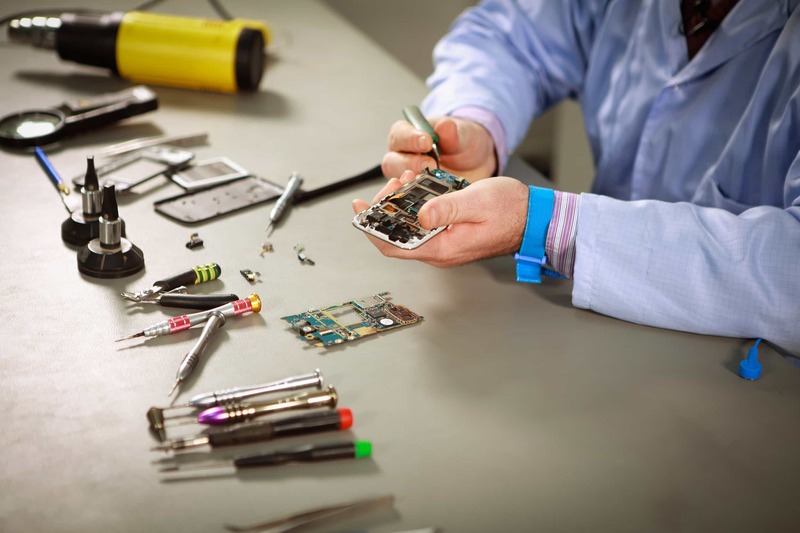 Our experts are trained and know each iPhone product inside and out so they can make any repair. If you are looking for cell phone repair done right, you can’t go wrong with Cell Phone City. We repair many brands of cell phone, from Apple iPhones to Samsung, to Android phones. We know and love our smartphones! Get your repair done quickly. It can be tempting to choose a company that promises that your screen will be fixed in under an hour. Not all repairs should be done in under an hour. If you want your iPhone 7 screen and phone repaired right, then you need to have expertise and quality behind it. Yes, here at Cell Phone City, we can start your repair right away. If it’s a simple fix, we get it done right away. If your phone needs some extra care and attention, we take the time to make sure it’s done with precision and quality. Is the iPhone 7 water resistant? There is a big difference between being water resistant and completely waterproof. Water damage is no joke. The iPhone 7 is water resistant, but in no means is it waterproof. If your iPhone 7 gets waterlogged, either in the toilet, or dropped in a pool, bring it in! Don’t put it in rice, or try the various fake hacks the internet is full of to ‘fix your iPhone 7’. Leave that to professionals. We can determine, with our fee water damage diagnostic, what internal damage has been done to your phone, and what kind of cleaning it might require to work at maximum capacity. If your iPhone 7 has been submerged in water, it is vulnerable to a host of issues, some of which you may not notice right away. It costs nothing to you to have us look at your phone and determine the damage done by water, so please, skip the rice and come in! We know that your iPhone 7 is already an investment. We get that. We love our cherished smartphones too. Every iPhone 7 repair is covered by our full expert guarantee. We are your local Fort Wayne iPhone 7 repair company. If for any reason you are not fully satisfied with your screen replacement, or cell phone repair, come in and talk to us. We’ll make the repair right. Who wants to go around with a cracked or damaged screen? No matter how you cracked your display, we can fix it. Most screen replacements are done in as little as one hour. Is your phone not charging the way it used to? Have you noticed that it can’t hold a charge, or is there some noticeable damage? We can repair the charging port to get you powered up in no time. Can you hear me now? No, maybe something is broken with your microphone or speakers? The fix could be as easy as a clean, or something more extensive, but how do you know? Before you try to clean or fix your phone on your own, come into Cell Phone City repair and have us have a look at it. Is your volume button suddenly sticking? Are you having a tough time signing in because your thumbprint no longer works? We can have a look at the buttons on your smartphone and make any repairs necessary. The cameras on the iPhone 7 are impressive, but if they aren’t working as they normally should, we can help. It may be a software error, or something that needs to be fixed. Don’t determine that on your own, have our expert technicians have a look. 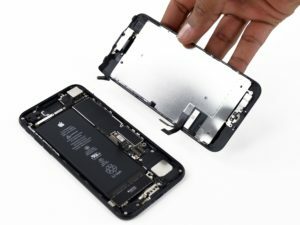 You might just need a battery replacement done if your Apple iPhone is not holding its charge, but how can you know for sure? Before you invest in a new battery, get us to diagnose the problem with your power first. Need an iPhone 7 screen replacement in Fort Wayne? Have another iPhone 7 repair in Fort Wayne that you need help with? Out of all of the iPhone screen replacement companies in Fort Wayne, Cell Phone City has been around the longest. We strive to be the best! We use the highest quality iPhone 7 Screen replacements available. We can match prices, so you are guaranteed to pay the lowest price when you come to us. Fort Wayne iPhone 7 screen replacements are our specialty. We can fix any phone, but our technicians have extensive iPhone experience. We can’t wait to show you what we can do! Make sure you give us a call today for a free quote or fill out the form on this page, and we will get back to you with a quote as soon as possible.